Being AEP is a bit frustrating, but I recall them saying that they were going to try and squeeze 330fps out of it. looks amazing, couldn't care less if its AEP tbh i want it!! I've gotten 330fps on a 0.2g out of a TM MP7 and Mac10 with some work (primarily, a new spring, airseal mods and a 6.01mm tightbore) but IIRC this is using a repurposed G18 AEP gearbox... I'm not holding my breath, I'd be surprised to see more than 300fps out of it. Awesome! I don't really care about the power limitations on AEPs, I used a skorpion in CQB for a while and it was totally fine after I upgraded it. Only shot 220fps but still chucked .25s over 200 feet. if they do get that much out of it, the gearbox itself will be worth as much as the gun. Hopefully they fix the gearbox weaknesses to keep it reliable at that fps or even near it. Definitely saving up for one of these. Release date is also pretty soon, they are shooting for the end of August. It's certainly intriguing to me, but I'm also waiting for the VFC MP7 AEG, which might or might not have enough pros to make me decide. In the end it'll come down to total weight, battery space/size/location and magazine capacity. The rest of it I can make it work in either case. Higher res first pic (does it even show a full size option?) and another one with a bit of the insides. They responded to my question about final FPS figures and they said... 230fps. The g18 aep ran around 220 fps, so it sounds about right. The range will be average, perfect for CQB, but it's the ROF that will let it down. It's powered by a LiPo so the motor will spin quite faster. RoF should be higher than a regular AEP, but the FPS is quite sad. 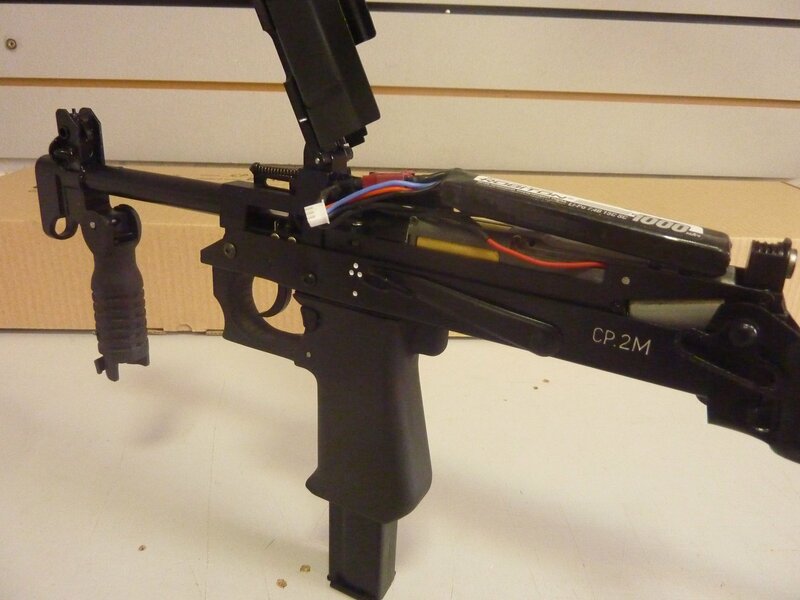 My MAC-10 shoots at 300 with no modifications to the air parts, and the gearbox is diminute. It's a gun that's smaller than most gear box's what do people expect? Don't know about any one else but I'm not fond of geting spammed at pont blank range with high fps 30rds gun. This a cqb gun so it does exactly what it needs to do. I am more interested in the gear box configuration if it is completely flat it maybe useful for a few custom gun ideas I have. CQB limits here is normally 300fps, with some places allowing up to 320fps, and semi-auto being normally mandatory inside buildings. It's a perfectly fine speed, and not even close to the brutal numbers I've heard of in other places. So ugly! Do not want. The pistol gearboxes are actually more solid than the SMG gearboxes. People break the SMG gearboxes pretty often, but the pistol ones are good. It's an interesting choice but if it means I can stick in a huge battery in the cavernous body, by all means. Just hope it doesn't have a plastic cutoff lever. The AEPs have plastic cutoff levers and of the 6 g18cs I've seen, one had a broken one and you can't buy them alone. I wish companies making tiny submachine guns would just put HPA engines in them and avoid the hassle of trying to build tiny gearboxes. Funny, they are doing that with the VSS. I have pointed them at this thread so they might chime in. yeah, NPO has always been expensive. They used to be well over 1 grand for basic AKs, then they got into the 9mm russian carbines and redwolf started to help them export them (which was previously very difficult for them to do) and the prices came down a little bit. as i understand it, its just a few guys in a small machine shop. 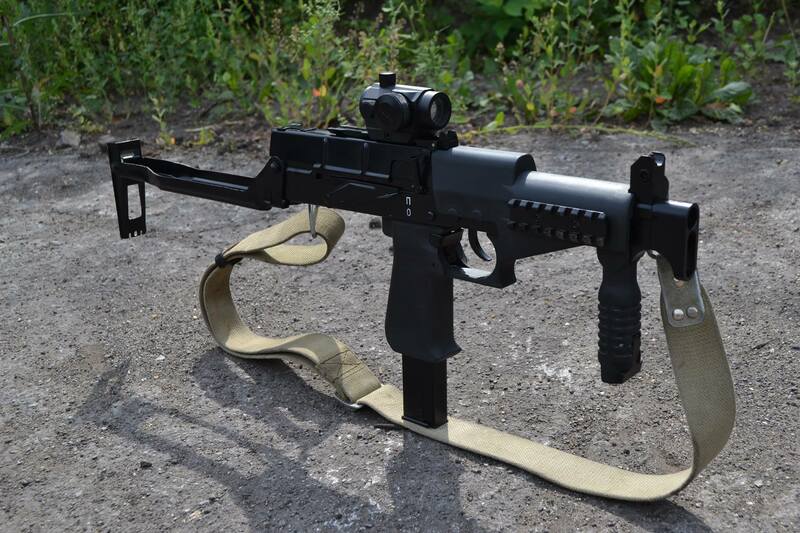 since this uses an AEP gearbox, i dont expect other manufacturers to try and copy them like LCT does with the 9mm carbines. so this may be it for the availability of this particular russian SMG. Do what I do. Spam WE so they get one to copy externally then stuff GBB guts in.